ARTISTIC BOUNDARIES CAN BE STRETCHED. 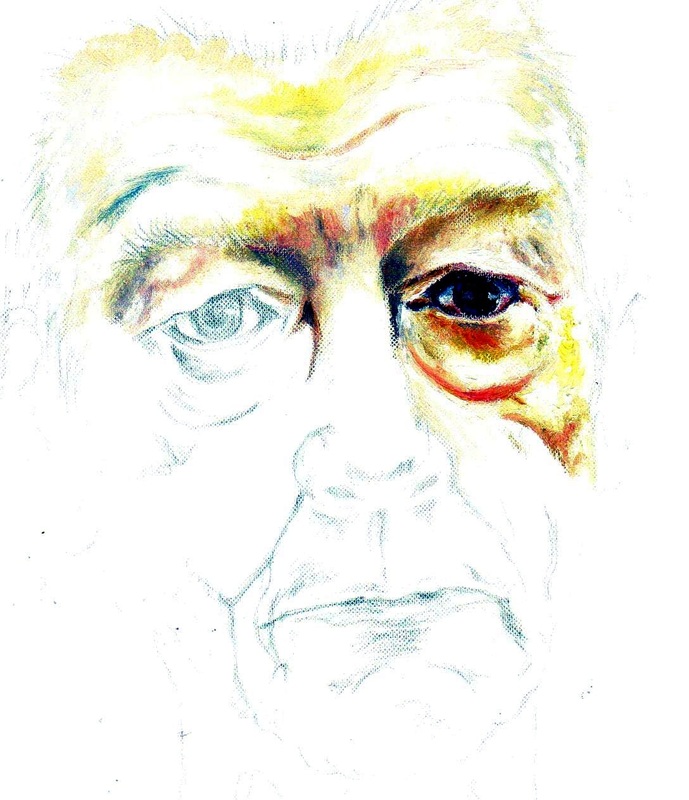 In this portrait of the fantastic British Actor, John Hurt, instead of the conventional oil portrait, this painting shows only part of the face in colour and the rest in cartoon form. The work has been illustrated using oil paints and charcoal on stretched canvas. Oil “portrait ” of Actor, John Hurt.